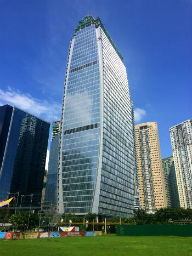 Rising in the middle of BGC Fort Bonifacio business district, just a block north of ShangriLa Hotel, the World Plaza office building is another masterpiece addition in the neighborhood. Composed by 18 levels of office spaces plus podium and basement parking and a ground floor retail area, it will have sizes ranging from 250 sqm up to 1,600 sqm for companies who will require the whole floor. 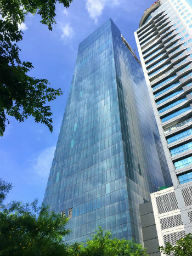 It achieved both PEZA Certification and LEED gold, and has put energy efficiency as a goal to reach in every aspect of the construction. 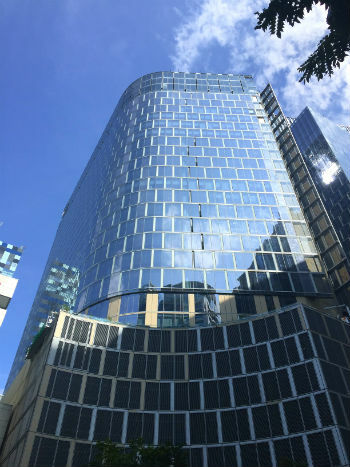 The World Plaza is nestled between 5th and 4th avenue in Central BGC, make it very convenient to be reached by walking from most of the luxury residences and hotels in the area. Size: 259 sqm. 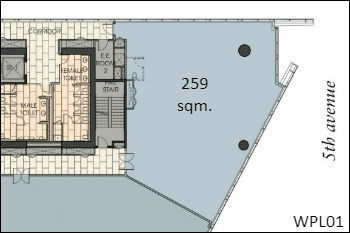 – 2,788 sqft. 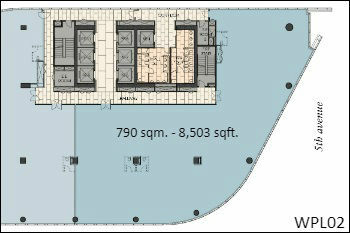 Size: 790 sqm. – 8,503 sqft. 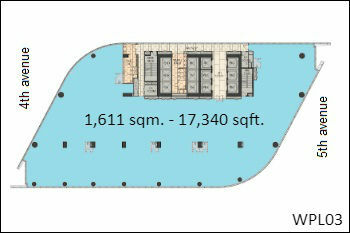 Size: 1,611 sqm. – 17,340 sqft.